Eindhoven, the Netherlands – Royal Philips (NYSE: PHG, AEX: PHIA) today announced the opening of its first HealthSuite Labs co-creation center at High Tech Campus Eindhoven, the Netherlands. The new facility provides an environment to spur digital healthcare innovation and supports healthcare organizations in the transformation towards connected and more value-based, patient-centered care models. Healthcare directors and general practitioners can work together in multidisciplinary teams with patients as well as clinical, design, digital and business experts on the co-creation and implementation of integrated care solutions to enhance self-management and continuity of care for patients. Following the launch of its facility in the Netherlands, Philips will be rolling out the HealthSuite Lab co-creation centers in other locations globally. Dedicated centers are already planned in Asia and the US to support customers in these regions. Philips also announced the new collaboration with the regional care network Zorgnetwerk Midden-Brabant (ZMBR), which represents the Elisabeth-TweeSteden Hospital as well as general practitioners, home care nurses, dietitians and patients in the region. 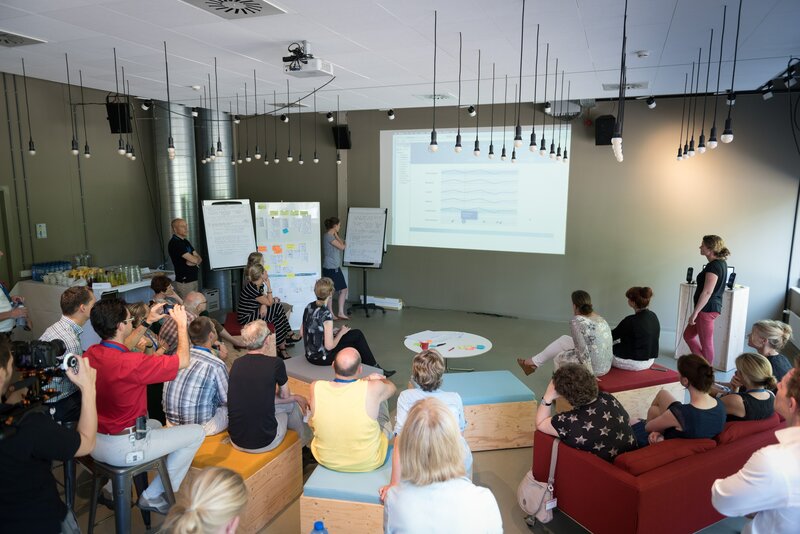 Through the HealthSuite Labs co-creation center, the organizations are developing a new regional connected health model for people living with type-2 diabetes – the first such model in the Netherlands. Under this model, people will be given access to and control over their own actionable health data. They will also be encouraged to set realistic personal goals to support them in making decisions that are important to their health and care management. In this way, the project aims to enhance self-management for patients with diabetes and improve their quality of life. Other important goals are to decrease visits to caregivers, increase treatment and medication loyalty. This collaboration is an example of also how other care providers can co-create in the center to solve the complex challenges that healthcare systems face. “Most of today’s healthcare budget goes to the fast-growing population of people living with chronic illness,” said Jeroen Tas, CEO Healthcare Informatics Solutions and Services, Philips. “The pressure on global healthcare systems is increasing, requiring them to find alternative ways of care delivery. At the same time, people want to be more involved in managing their own health. Drawing on the effective collection, analysis and sharing of health data, the solutions developed in the HealthSuite Lab co-creation center will be enabled by the HealthSuite Digital Platform, Philips’ secure cloud-based IT infrastructure. 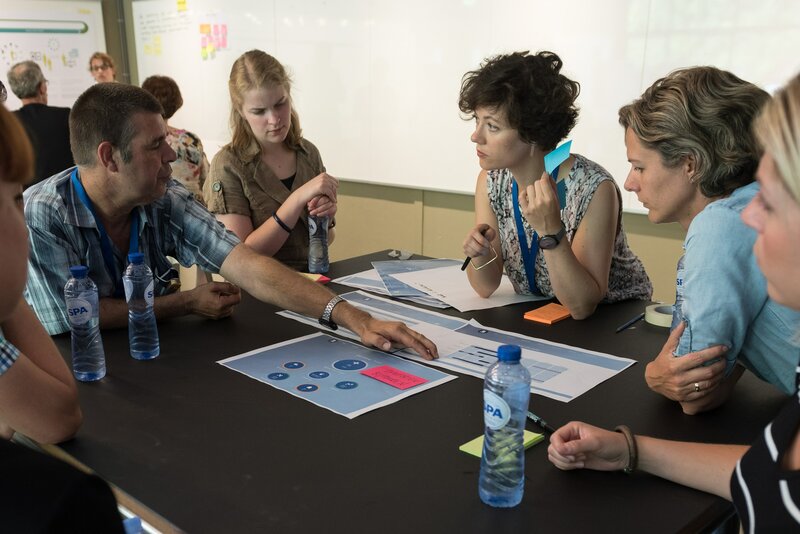 Philips has collaborated with the Radboudumc REshape Center for their vital contribution to a patient-centric approach in the HealthSuite Labs innovation process. Click here for more information on HealthSuite Labs. The regional care network Zorgnetwerk Midden-Brabant is a unique collaboration network of care providers in the central Brabant region in the south of the Netherlands. Together the care providers strive for high-quality, aligned and accessible care and treatment of patients and citizens in the region. The purpose of the diabetes program is to optimize patient care through the development of care-related protocols and collaborative processes. Further, the goal is to innovate the care delivery process together. The regional care network Zorgnetwerk Midden-Brabant focuses on patient self-management and the patient being an active member of society.